: Shri Braj Mohan Azad, Vice principal, M.A., LL.M. : Dr. Neeta Roy, M.A. (Sociology), Ph.D.
: Dr. Satish Kumar, M.A. 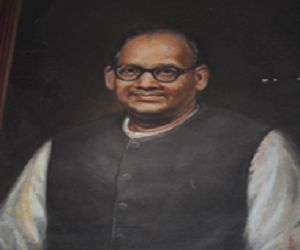 (History), Ph.D.
: Shri Bhushan Kumar, M.A.,(Economics) LL.B. : Dr. Prof. R.D. Sharma Retired Principal, M.P.S Science Col., Muz.